Weighing a small baby or apprehensive infant doesn't have to be so difficult with the Seca 374 digital infant scale. 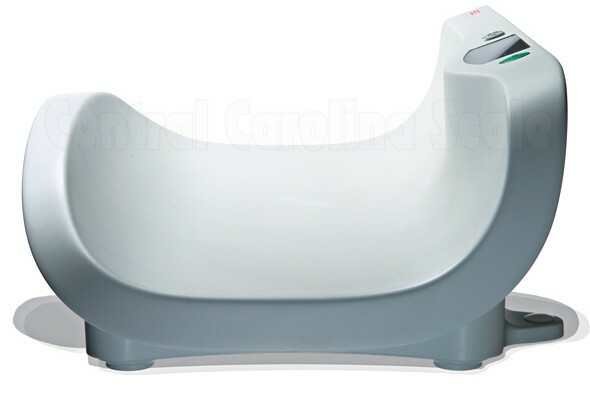 The seca 374 digital baby scale with extra large weigh tray is well-suited for hospitals and clinics, particularly pediatrics. The shell-shaped design of the seca 374 is consistent with the high demands made on its multiple functions: suitable for babies and infants weighing up to 40 lbs, the large tray provides maximum safety against the baby falling from the scale. The clear controls of the user interface are located on the slightly raised, ergonomically formed side of the scale facing the user. A large LCD display makes it quick and easy to determine the weight. A further advantage of the seca 374 is that it can also be operated using batteries and thus be used anywhere. The scale's extremely robust, hygienic surface of high-quality plastic is easily and quickly cleaned.